Packaging fresh produce is significantly different form other food products. Prolonging the shelf life of the product, while maintain the produce’s color, aroma and flavor is critical to maintain competitiveness in this market. 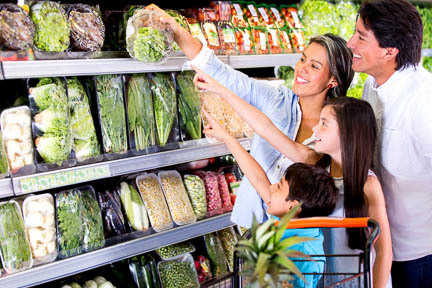 Fresh fruits and vegetables must still breathe after being packaged and therefore require a highly permeable film whereas most other foods utilize high barrier materials. Layfield's technical group are constantly working with packaging converters on modified atmosphere packaging (MAP), developing exact permeability specifications that meet the needs of the customer and the specific produce being packaged. Layfield manufactures a wide range of products geared towards the fresh fruit and vegetable market. From simple products like carton and tote liners to more complex modified atmosphere packaging, Layfield we can provide you the right product for your specific needs.